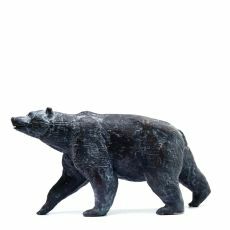 Yanina Antsulevich is a Russian sculptor who is specialized in bronze sculptures of animals, specifically horses. In 2006 she graduated from the Russian Academy of Fine Arts in St. Petersburg, and now lives in Italy. 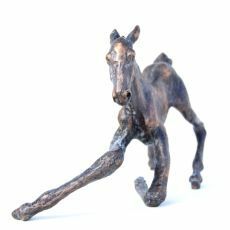 In 2009 she became a full member of the Union of Artists of Russia and since 2010 has lead a summer course of equestrian art for students of the Russian Academy of Art in St.... Read moreYanina Antsulevich is a Russian sculptor who is specialized in bronze sculptures of animals, specifically horses. In 2006 she graduated from the Russian Academy of Fine Arts in St. Petersburg, and now lives in Italy. In 2009 she became a full member of the Union of Artists of Russia and since 2010 has lead a summer course of equestrian art for students of the Russian Academy of Art in St. Petersburg. 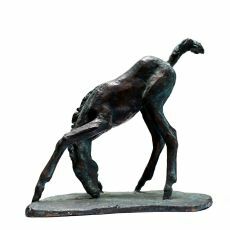 In her work, she captures the subtle differences in posture, strength and gait between sculptures of foals who are one hour, one day, or one week old.